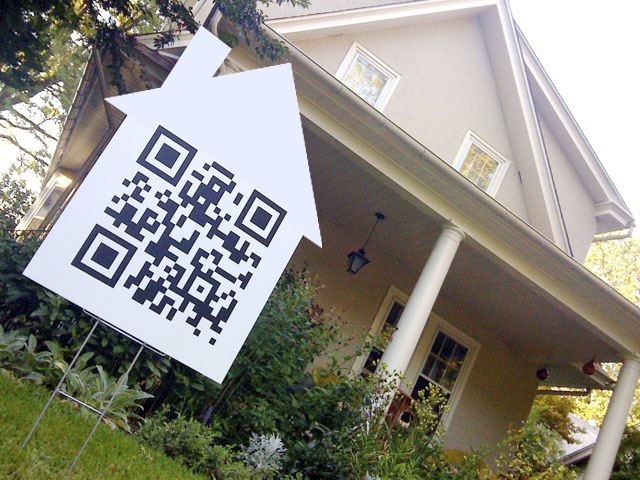 QR signs for real estate? I know I know, it’s hard to keep up with technology. But this nifty little invention is worth investigating, if you’re in the real estate business. It’s call a QR code. In a nutshell, here’s how it works: Hire me to take a bunch of photos, create a web page for your listing using my amazing photos, generate a QR code for that page, and have it printed on a sign. When you plonk that sign on the lawn, people (well, nerdy people) can take a photo of your QR code sign and they will instantly be sent to the aforementioned website where they can view all of my amazing photos on their cell phone. There. It’s a lot easier to actually do it than to explain it. If you want more information, just give me a call!